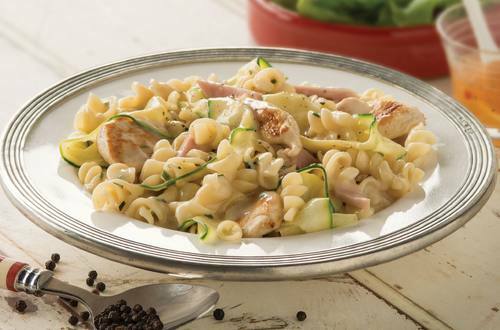 Create a Carbonara with a difference with our chicken Carbonara recipe with ham & zucchini. Prepare and cook in just 20 minutes, serves 3-4. Hint: Serve with a tomato and basil salad.